I have released an incremental upgrade to my ‘ktown’ package set for KDE 5 aka Plasma 5. I have decided on a version tag for my packages, consisting of MajorRelease_Year.Month. Therefore, this package set carries version 5_15.02. This blog post will re-iterate some text of my previous Plasma 5 post, which I also encourage you to read, because it offers a lot more detail on the migration from KDE 4 to Plasma 5. These KDE 5 packages of mine are going to be your only KDE desktop. There is no choosing between KDE 4 and Plasma 5 – KDE 4 will be mostly replaced. The “kde-workspace” package which provided the well-known KDE 4 workspace has been stripped down to the bare minimum, and has been replaced by “plasma-workspace”. The KDM graphical login manager has been retired and replaced with SDDM. While you will be presented with a pretty Plasma 5 workspace, most of the KDE applications you’ll be using are the familiar KDE 4 versions (with updates and bugfixes), nicely blending in to the new Breeze theme. For two applications, kate and konsole, that have already been ported to KF5 (KDE Frameworks 5) it became apparent that the KDE 4 embeddable component (or “part” in KDE terminology) was still needed. So, a katepart4 package has been added so that kdevelop works again, and konsolepart4 was added to bring back the embedded terminal in dolphin. These two packages don’t share any files with their KF5 alternates. The kde-workspace package has been re-added after stripping it so it no longer shares any files with plasma-workspace. The package is still needed by kget and kdeartwork. The sddm-theme-breeze package has been removed because the Breeze theme files are actually part of the plasma-workspace package now… and the sddm-theme-breeze package was mostly empty already in the KDE 5_15.01 release. In Applications 14.12.2, to date the only KF5 ports are still kate, konsole, analitza, gwenview, kalgebra, kanagram, khangman, kig, parley, kapptemplate and okteta. Apart from bugfixes to these and the KDE 4 based applications, the Applications 14.12.2 collection also contains updates for kde-workspace, kdelibs, kdepimlibs, kdepim and kdepim-runtime. The URL http://taper.alienbase.nl/mirrors/alien-kde/current/testing/x86_64/ (for 64-bit) and http://taper.alienbase.nl/mirrors/alien-kde/current/testing/x86/ (for 32-bit) is pointing to my KDE 5 testing ground. I consider Plasma 5.2.0 a “testing” release, with potential to be your next stable desktop, but with some caveats and reservations. The URL itself will remain permanent, even when the versions of the software components get updated. Currently “testing” points to version “5” in the repository because versions of Frameworks, Plasma and Applications are not co-ordinated and package updates may appear in the next months for these sub-sets. The “5” is a good middle ground. You should use this “testing” URL when you configure slackpkg+ or slapt-get if you want to upgrade to Plasma 5. You must use only one of these URLs! If you are completely new to KDE 5 for Slackware, I urge you to also read my previous post about KDE 5_15.01 in its entirety. There was a follow-up article about the changes in system tray support in the Plasma 5 desktop which is mandatory reading material as well if you are using Dropbox, Skype and other non-Plasma 5 software that wants to dock an icon in the system tray. First, read all of the Notes at the end of the previous KDE 5 article, they still apply. I can not find how to bring back the “Suspend” option for my laptop. Any help on this is more than welcome! Posted: 18 February, 2015 in Slackware, Software. Is it better to run `slackpkg install ktown_testing` before `slackpkg upgrade ktown_testing`? It seemed to me that `slackpkg upgrade ktown_testing` pulled in most of the KDE5 ‘deps/’ section, so it seems logical to perform that first. I don’t know for sure, I’d just like to know the ‘best practice’. I would like to install your plasma your latest kde 5 plasma testing installation over the KDE Development Platform: 4.12.3 or KDE 4.14.3 of porteus (slackware). Would there be some special instructions? Ryan, in case of a 3rd party repository it does not matter what order of execution you choose. THe “install” line will install any package in the repository that is not yet present on your computer, while the “upgrade” command will only upgrade those packages that are already installed on your computer and for which a different version exists in the repository. However when upgrading original Slackware packages, it is mandatory that the order of execution be “slackpkg install-new” followed by “slackpkg upgrade-all” to avoid the danger of breaking your system halfway during the upgrade when incompatible library upgrades are introduced. Francois, why don’t you just install Slackware-current then. I do not support other distros with these packages. I want just point you out that yakuake (framework git version) works perfectly compiled against the new packages….and the same the “embedded” dolphin konsole (but I guess you already know it!). translations are working now, mostly (tested dolphin and konsole as well as okular). Only sddm is still in english. Cool update, Eric. Thanks a lot! I did a clean install of -current without KDE, then installed your packages. I had the same issue on first run of KDE (startx) – the Desktop Effects are disabled – pressed ALT+SHIFT+F12 to turn them on and everything works fine. Is that a default setting? Just curious if you have come across this stuff. Thanks again for the packages. Thanks for the update Eric! -sddm is still going into negative numbers when trying to shutdown or restart. -dark theme, K-menu color issue has been resolved, but is not changing the taskbar color now, and everything becomes invisible in the taskbar. I know these aren’t your issues Eric, but issues for the KDE devs, just thought I’d mention them to ya. I had looked at a possible update for sddm however there was none, so there was no updated package for sddm-qt5 in my release. I noticed you filed a bug on this issue: https://github.com/sddm/sddm/issues/355 so let’s see if they resolve that. The KWin window manager determines the computer’s graphical capabilities when the Desktop starts and apparently in your case it decides that Compositing should be disabled. I assume that if you enable compositing using Shift-Alt-F12, that KWin remembers your choice on subsequent logins? About Calligra, no idea. The segfault message is pretty non-descriptive. Besides one or 2 kwin/plasma oops, I’m starting to like this KDE5. Still some issues with gwenview and other but on the whole, very nice. Is this something that has been removed from KDE5 and not replaced, or am I missing a package or have an incorrect path? 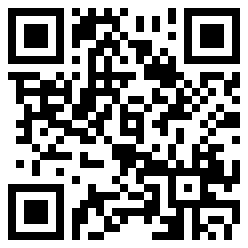 Read in “mirall-1.7.1/doc/building.rst” for further information. @Michelino thanks very much! Do you have any more info on what the issue is when compiling against qt5? not only konsole in dolphin. yakuake master branch is working too. Thanks for the updates! I’ve no problem compiling against qt5, the only package I need is qt5keychain, and it seems to be your problem. In order to have the qt5keychain package you can use the Eric’s qtkeychain slackbuild (with few changes, like PRGNAME variable) and it will automatically compile against qt5. What do you think about the separate KDE Frameworks package? as its now needed for LxQt desktop. Eric in the alldeps.SlackBuild* you list a package directory as qjson. The directory is actually json-glib. Should the package be “json-glib” or is the directory incorrect? There will not be a separate KDE Frameworks package. 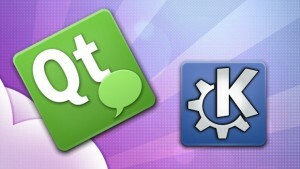 If LXQT uses the KDE Frameworks, that is nice. You can grab the required packages from my repository, but I will not duplicate the packages into a separate repository. I will hovever try to find out if I can create a sub-repository for the current/testing/*/kde/frameworks/ directory trees. My repository creation script allows for this, but I need to check if that affects the main repository. John, the alldeps.SlackBuild is not used by me, I use the updates.SlackBuild . The alldeps is more like a piece of info for Slackware once a new KDE release gets added to slackware-current – meant to check all these packages before attempting a compilation. First, a big thank you to alienbob for his work on the KDE5 packages. I have noticed that when logged in as root the Reboot, Shutdown. Suspend, Hibernate options are all present and functional in the Leave menu . So the fact that they’re missing for a normal user looks like a permission / configuration issue. Haven’t had time to dig further but I though that this observation might be a start to solve the problem. Everything builds fine now that I am using the correct slackbuild. Hi manciuleas – that is relevant info. I had actually not tried starting KDE as root, but I had my suspicions about user policies and your observation adds proof to that. Have to try this at home, tonight. In found this: https://forum.kde.org/viewtopic.php?f=17&t=125012 The guy wants the opposite of what we want. I couldn’t find the polkit file(s) (/etc/polkit-defaults-privs.local) mentioned in the OpenSUSE thread, though. So far, little movement there, but I added a lot of detail to the ticket. I found a bug in system settings: when i try to change the timezone logged as a common user, it is requested to authenticate as root, when I do so, the error occurred.. I think it’s due a polkit or kauth problem in systemsettings5. Yes I know, I have that bug too. But after the error, my changes are still applied. There is at least one other error (apart from Suspend/Hibernate missing) that is probably polkit related. If you try to change anything in the SDDM systemsettings, the the window freezes as if it is waiting for a polkit window that will never appear. If you find a fix, let me know and I will implement it. Maybe you could add in your bug report that everything works for ‘root’. Is that the intended setup? manciuleas – yes I still need to find out what’s needed because we have both KDE 4 and Frameworks 5 based applications. The polkit-kde-agent-1 and polkit-kde-kcmodules-1 packages are from KDE 4 while polkit-kde-framework and for polkit-kde-kcmodules-framework (built from the most recent sources) I hoped they would pick up Plasma 5 functionality. It looks like they are basically the same thing, and not at all different. Suggestions are welcome. I have removed the polkit-kde-* packages from KDE4 and I haven’t noticed any downside. Regarding the suspend/hibernate issue I have checked your bug report and Lukas asked if polkit-kde-authentication-agent-1 is running. It is running indeed but according to my .xsession-errors powerdevil is started *before* polkit-kde-authentication-agent-1. Can the start-up order of different KDE components be configured? Once the session is up the system can be suspended/hibernated using qdbusviewer-qt5 from /org/freedesktop/UPower org.freedesktop.UPower Method::Suspend / Method::Hibernate. I am able to suspend the system manually using qtdbus invoking a methiod similar to yours. I wrote that in one of the comments in the bug report. The fact that I can do that means that Polkit allows me to do this. PowerDevil somehow interprets the data wrongly, is my impression. As I said in my previous comment IMO powerdevil is started before polkit-kde-authentication-agent-1 and at that point it does not have the permission to suspend/hibernate even though it works later by invoking directly dbus methods. No. If you look closely it can’t contact either systemd or ck. Willy, if you are getting that error then at least you have systemd or systemd-shim or logind or any of the alternatives installed. Powerdevil checks if it finds Logind listening on the DBus and if so, will try to arrange things through Logind instead of UPower. @erick , @manciuleas you all right , i use kde like root and suspend works, maybe we a group permission or something? Rebooting and appears the suspend/hibernate buttons. Rebooting and appears the reboot/shutdown buttons. The last message is wrong. Thanks Luis! You made my day. Note that the Action options must be on the same line. Now I have all four missing menu options, and functional too. Give the new info I think that you can close https://bugs.kde.org/show_bug.cgi?id=344456, provided that the solutions work for everybody. I have implemented luis’ suggestion for suspend/hibernate buttons and manciuleas’s idea for restart/shutdown on my laptop. I could also undo my edit to “/usr/bin/startkde” where previously I had to remove the call to “kwrapper5” in order to get shutdown/reboot options available in the menu. All of it works properly now, I have suspend, hibernate, shutdown and reboot options in my menu. The laptop suspends successfully. The only modification to your proposal is that I used the Unix group “power” instead of “users”. In a multi-user system you want to be careful who you allow to shutdown your computer. I will add these polkit files to the next update of my ktown packages. I am still undecided whether I should add them to the powerdevil package, or to plasma-desktop. Since they are not needed in Slackware itself, with its KDE 4, I will not propose to Pat to get these files included into the core. When Slackware adopts Plasma 5, that will be early enough. Again thanks to the both of you! This has been bugging me for a long time. I will update that KDE bug report so that it can be closed.